Join me in Bristol, UK on 7 and 8 June for Pixel Pioneers — a new full-day conference featuring sessions from Heydon Pickering, Ida Aalen, and Michael Flarup, plus two workshops. Find out more. With over 12 years of experience in content creation, strategy and management under my hat, in particular for the web and startup industry, I can help boost your content and ensure it connects with your customers. I provide consultancy for individuals and businesses of all sizes across the world. I create and host workshops and training sessions on content strategy and marketing, content creation and management, social media, writing for print and online publications, and more. These follow my own custom curriculum or can be tailored to your needs. I'm available for workshops at public events, or you can book me for a bespoke session with your in–house team. Whatever your budget or location, get in touch and we'll work something out. I edited net magazine, the number one publication for web designers and developers, for more than four years and am an expert in the whole production process from commissioning articles to the publication of print and digital products. As I am very knowledgable about web and user experience design, content strategy and marketing, ecommerce, accessibility and many other technical topics, I also offer peer reviews and technical proofreading for a variety of publishers. A German native speaker who has lived in the UK for more than 15 years, I'm fluent in both languages and provide German translations and editorial services. For example, I served as consulting production editor on the German edition of Lemmy — The Ultimate Tribute, and as commissioning editor for the (now defunct) German edition of photography blog Photoventure. As editor and conference curator I have gained years of experience in using content–based marketing to grow an audience. I have created and hosted content marketing workshops at various events including Generate and beyond tellerrand and can help you create niche content that converts, whether that's creating articles that grab the attention of your customers or making the biggest impact on social media and employing the networks that are right for you. In 2017 founded Pixel Pioneers, a new series of affordable events that brings world class advice from designers and developers to the UK. I also co-founded and continue to curate the Generate conference series. My expertise reaches from the speaker selection and outreach, programming and scheduling to marketing and partnerships/sponsorships with a strong focus on accessibility, inclusivity, and diversity. 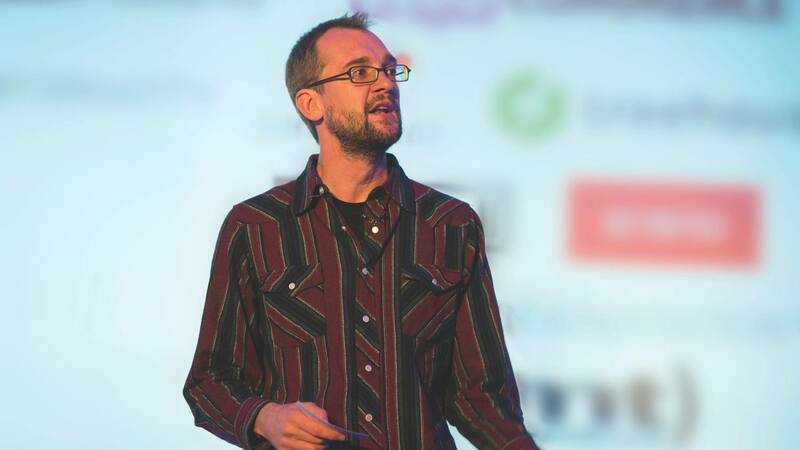 Between 2006 and 2011 I had the privilege of talking to over 50 experts in the startup and web design industry, from the creator of WordPress, Matt Mullenweg, to usability pioneer Steve Krug. I was honoured to sit down with "the father of the internet", Vint Cerf, as well as web design legend Jeffrey Zeldman and the man who coined the word 'blog', Peter Merholz. These conversations constitute a piece of internet history, and it's remarkable how relevant some of these pioneers' advice still is today. Other popular interviews include Doug Bowman, Jessica Hische, Jack Dorsey and Marissa Mayer. Stay up to date with the latest Pixel Pioneers event news and advice. My regular newsletter is packed with practical and inspiring content, and it’s here that you will also find out first about any Pixel Pioneers discounts and offers. Let's make amazing things happen! If you think I can help you, please get in touch on [email protected]. I'm now accepting assignments.